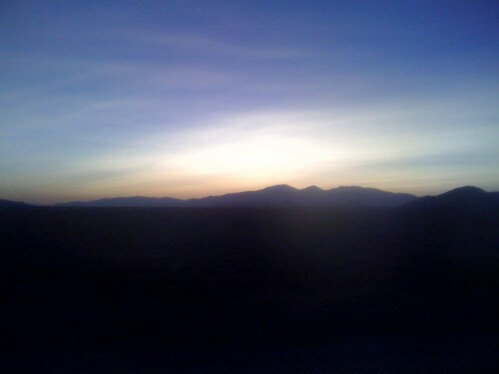 Nearing LA as the sun sets over the desert. Otter and I just belted out our final Playa howl of 2008. Good night desert Sun. Jimmoi and L-bot just passed us honking and waving.